It's official... Scotch Porter is coming to Brooklyn! 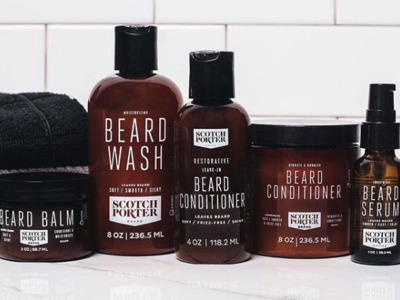 Come shop the Scotch Porter CBD, Beard, Hair, Face, Body and Shave Care Collection at their exclusive Pop Shop! Located in the heart of Willamsburg, here's your chance to shop their top selling CBD Beard Care Collection as well as the new Scotch Porter CBD Body and Face Care Collection. Also, all NON-CBD products will be 25% off, need we say more? Only open for a limited-time, you don't want to miss this.